From funny to sweet, you’ll enjoy every one. Here’s how you can win: Submit a comment to our blog by 11:59 pm on Wednesday, June 27, to let us know what you think your students are looking forward to most this summer. One lucky teacher will be randomly selected. When kids read any eight books this summer, they can earn a free book from Barnes & Noble. Click here to download the reading journal and to see the list of free books. There are some great ones—Fancy Nancy and Flat Stanley, Judy Moody and Artemis Fowl, and Greenglass House and Book Scavenger. Take a look! Introduce students to the Legends of Orkney Book Club. In Orkney, magical portals, gods, and witches run wild. Get the free book club kit and start the adventure. Click here now. 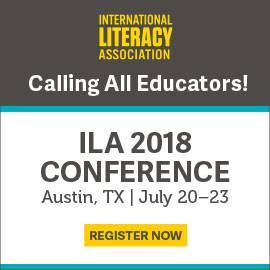 Focus on your own learning at the ILA 2018 Conference. It’ll be in Austin, TX, July 20–23. Attendees will have access to 300 educational sessions, 100+ exhibitors, and countless networking and learning opportunities—not to mention the chance to enjoy the beautiful city of Austin. Find out more here. Good luck in this week’s contest! 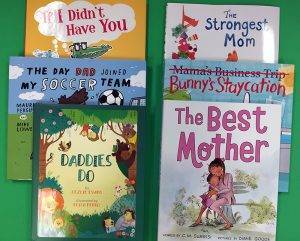 PS: Looking for summer reading titles that have lots of diversity? Share this list from Lee & Low with your students. Students are looking forward to time outside. Students are looking forward to playing outside. My students are looking forward to playing in the pool! Staying up late, sleeping in, a m d vegging out. My students are looking forward to family trips… a few are already on their way. My students love their families! They’re looking forward to vacations to see Grandparents and being home or sitters. All love going to the library for reading time! My students are excited to spend more time with their families! Their parents, cousins. aunt’s, uncles, and grandparents! I think they are most looking forward to sleeping later and no homework! Spending time with Grandpa & Grandma, campfires, trips to the pool, summer reading program and library, trips to the zoo and nature camp. To go on fun trips with their family! My littles are finally old enough for softball/baseball. It’s all I hear about. While the majority of my students are looking forward to coming back for summer camp 😉 I was reminded the other day that not all students look forward to summer break. For them, school is the break from a challenging home life. A lot of my sweet little students were excited to go to the park or the splash pad over summer. We did a graph at the end of the year to ask this question…the beach won. Our students wanted to swim in Lake Michigan. My students are looking forward to being with family and taking exciting trips! Remember: even a trip to the library or playground can be exciting! My students were looking forward to kindergarten. I told them that kindergarten would be at the end of summer, but they are ready now! =) We’ve been on summer break since May 23rd. My students were excited to go to family camps, swimming at the beach and traveling off island for soccer tournaments! Some were even excited for summer school! ???????? Most of my students will tell you they most look forward to coming back to school – for reals!! We have such a great school and curriculum. But summer fun … definitely swimming and park picnics and there’s apparently tons of camping around here. Although this teacher does not camp unless it’s in my comfy porch chair with a great book. Happy summer!! My class loves read alouds! My 1st grader would enjoy them too! Students are looking forward to being outside and not having a bell call them in just as they are having fun! They will be creating their own stories. My students are looking forward to spending more time with their families. My children are looking forward to sleeping in and players ng outside. My students are looking forward to staying up late. My students all said that they were excited about sleeping late, going to the pool, eating watermelon and going to the fun activities at our local public library. They are most excited to go swimming. They are most excited to swim in the pool and go to the beach. My class will definitely enjoy any time spent in the water! They love stories about the ocean!